The snagmag is everything it should be. 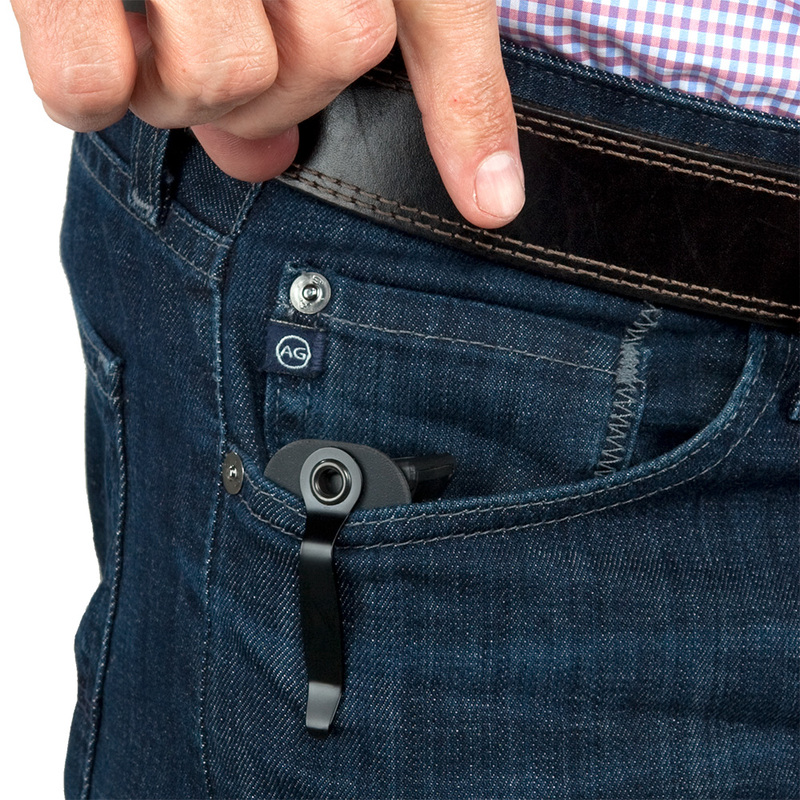 It holds the mag securely and descretely but releases the mag from the holster smoothly. Great design in function and concealment. Best mag holder I have found so far for concealment. The only thing anyone sees is the clip which looks like a knife clip. Its nice to know right where your magazine is and have it facing the right direction for insert. I carried one for about a year and a half until the small folded section of Kydex broke off while training, at which point the magazine would fall out into my pocket. Also, I drilled out the rivet and replaced the clip with an UltiClip... huge improvement. If these thing came with an UltiClip and were made out of thicker Kydex with the folded section being made taller for added durability, this would be the best discrete mag carrier on the market. Great product, not bulky, easy to use, fast concealment, simple perfect for on the go.